Genuine Replacement FiltoMatic Cartridge Foam sets, will fit FiltoMatic units 3000- 25000. 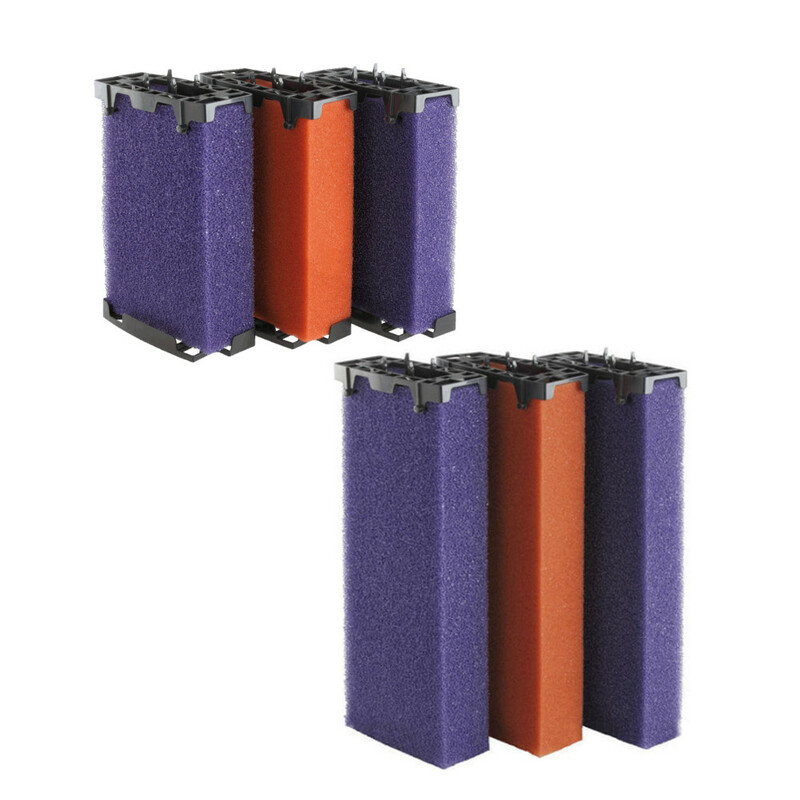 Consisting of 2 Purple coarse foams and 1 fine red foam, the cartridges slot easily into place in a FiltoMatic filter, perfect to replace used and worn foams. The replacement Cartridge Foam sets are genuine Oase spares and will fit the Filtomatic range from 3000 to 25000. Each foam is easy to install and offers high quality filtration in your filter system.